PETALING JAYA: A group advocating the legalisation of marijuana for medical purposes, has urged more former “patients” to come forward in support of “Dr Ganja”, who is facing 36 criminal charges related to use of marijuana. Malaysia Awareness Society (Masa) secretary Harish Kumar claimed that Amiruddin @ Nadarajan Abdullah, a former armed forces captain, had cured over 800 people using marijuana for different sicknesses. “He actually helped a lot of people with cancer and severe illnesses,” he said, adding that about 40 people, comprising former “patients” and supporters, gathered at the Klang Courts Complex today to support Amiruddin. 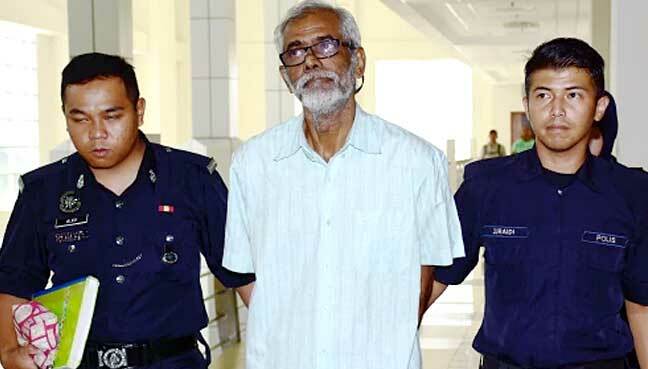 Harish hoped those who sought help from Amiruddin can step forward and “bring the truth” to the public about the use of marijuana for medicinal purposes. “One of his patients who attended his court mention today was an eight-year-old autistic boy from Terengganu. “He was given ‘milk cannabis’, or milk with marijuana, by Amir and two months later, the boy’s condition had improved,” he said, adding that Masa’s objective is to tell the people that marijuana is “not harmful to our health”. Last year, Amiruddin was charged at the Klang Magistrate and Sessions Courts, under the Dangerous Drugs Act (DDA) on 36 charges related to using marijuana. The charges are under Sections 6, 15(1)(a), 10(2)(a) and 39B of the DDA. He will face the death sentence if he is found guilty under Section 39B for possessing cannabis weighing about 97.995kg. Amiruddin allegedly committed the offence at a house in Kampung Delek Dalam here in May last year. He claimed trial to all charges, except Section 39B. Lawyer Samantha Chong, who appeared for Amiruddin today, said Magistrate Nor Asma Ahmad fixed Feb 7 for the next case mention pending a long-awaited chemist report. She said Amiruddin’s family members were emotional today in court and cried after he was taken back into custody. “He was charged in May. And this has been dragging for too long, just for a chemist report,” Chong said. She added that the magistrate will also exercise the court’s powers to transfer the case to the Shah Alam High Court. Next articleWarisan-Pakatan Harapan seat deal in the offing?